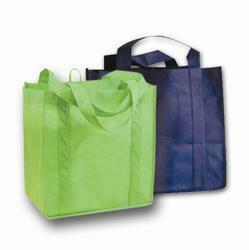 Owing to the dexterous professionals, we have been able to provide the clients with a commendable assortment of Non Woven Bags. This offered range of the products are provided by us in various mesmerizing colors, attractive designs and enchanting patterns. All the bags are thoroughly checked by our quality controllers team before being dispatched in the market to ensure the following features.